ESCO (Equipment Supply Company) is pleased to announce the new Pro Series 2 Ton Two & Three Bag Bladder Jacks [Models#92040 & #92041]. These completely pneumatic jacks are a great addition to any service shop, hobbyist, or mobile service technician who deals in automotive/SUV/Light Truck applications. 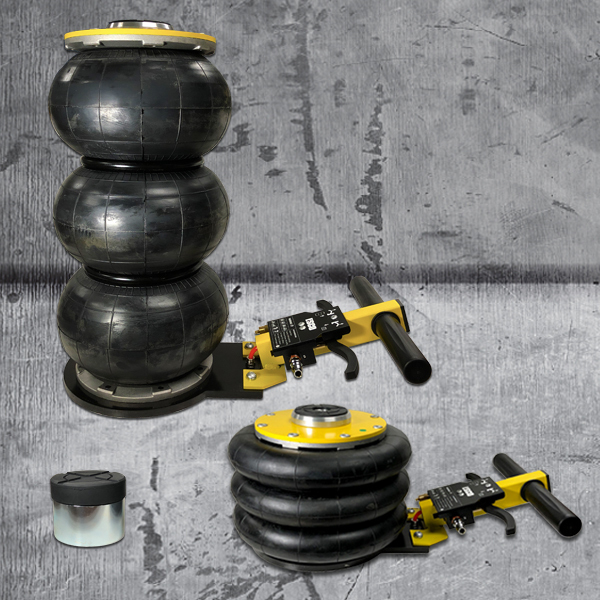 Outfitted with an internal cylinder system that ensures stability and solid positioning, the ESCO Pro Series Bladder Jacks are a safe and fast solution for any lifting applications in any conditions. For added safety, the ESCO Bladder Jacks also feature a dual safety valve that prevents both over-inflation and uncontrolled descend (deflation) of the jack(s) under load. These ESCO Bladder Jacks can also be used for repair projects in body shop, as an additional support on frame machines to lift in small increments as needed or for lifting heavy items with precision. The ESCO Pro Series Bladder Jacks provide up to 4,000 lbs. (2 Tons) of lifting capacity and 100% air operated, with a working air pressure of 100-145 psi. Both Jacks have optional lifting extensions of 3 in. and 2.25 in. The two and three bag bladder designs, have low profile starting points ranging from 4.5-7.9 in. and Maximum Lifting Heights from 17-22 in. (including extension). 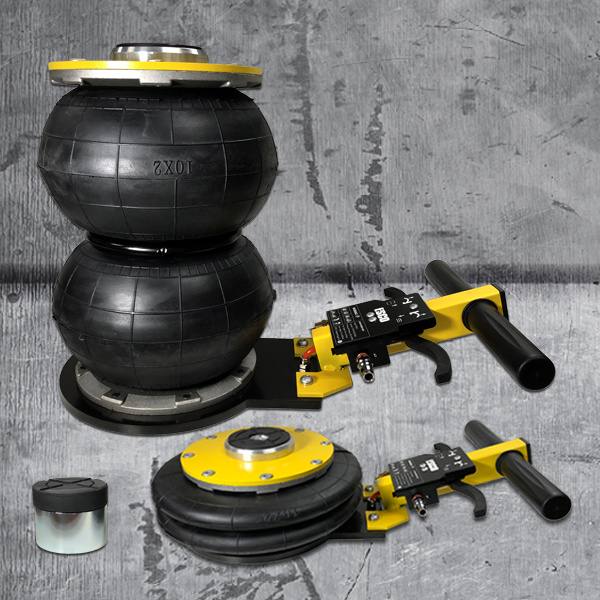 The ESCO Pro Series Bladder Jack(s) are built to the same quality standards of all ESCO lifting and support equipment and come with a 1-Year Warranty. The ESCO Pro Series 2 Ton Two & Three Bag Bladder Jacks [Models #92040 & #92041] are available now wherever ESCO products are sold. For more information about this product and where to buy ESCO product email sales@esco.net or call 1-800-352-9852 or visit www.esco.net and search “Pro Series Bladder Jacks”.